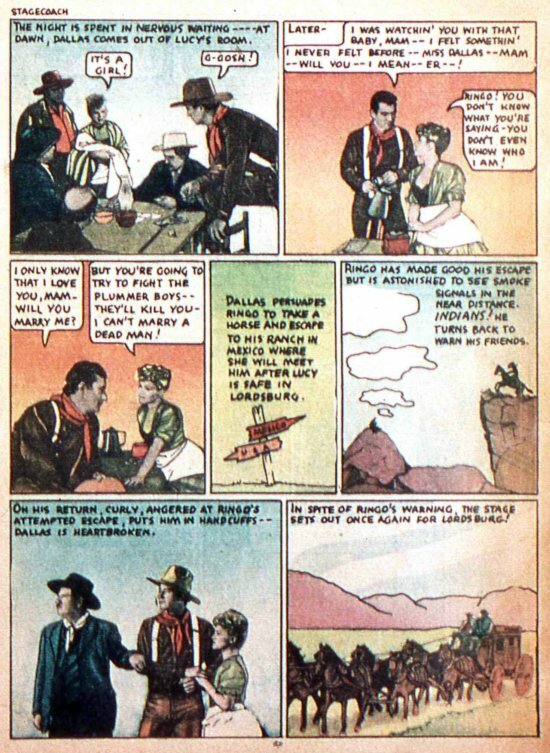 Nobody personified Western movies like John Wayne. 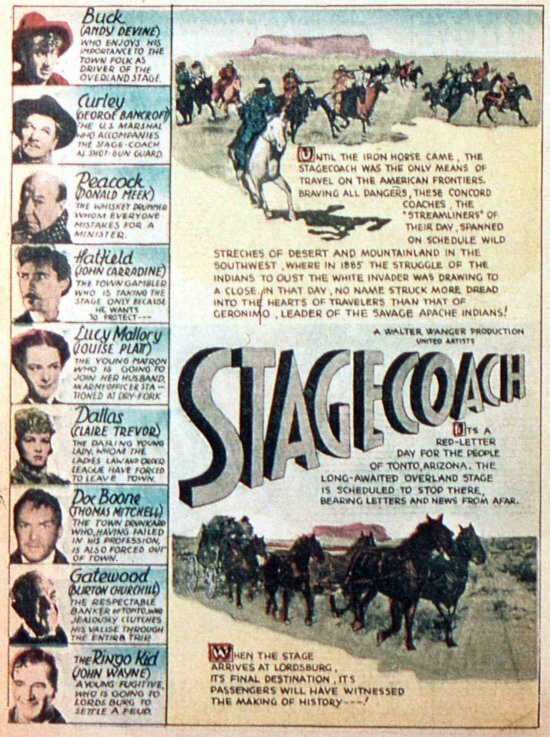 Stagecoach (1939) was his breakout film, after a series of roles in b-movies and serials. 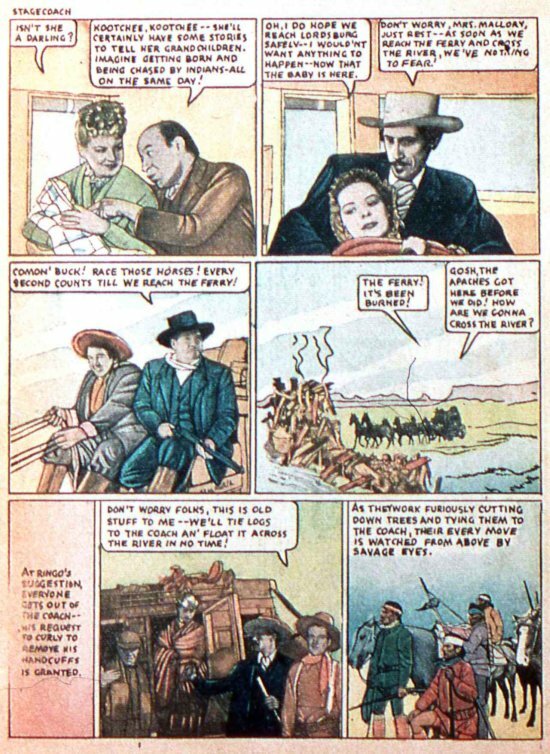 This landmark flick was immortalized in print with a unique fumetti-style adaptation in DC Comics' Movie Comics #2 (1939). 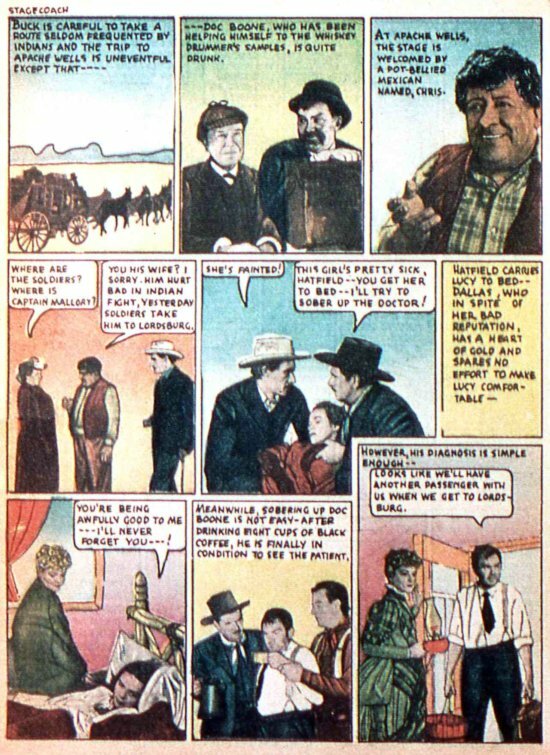 Movie Comics ran for six issues, adapting everything from Westerns to romances to science fiction. 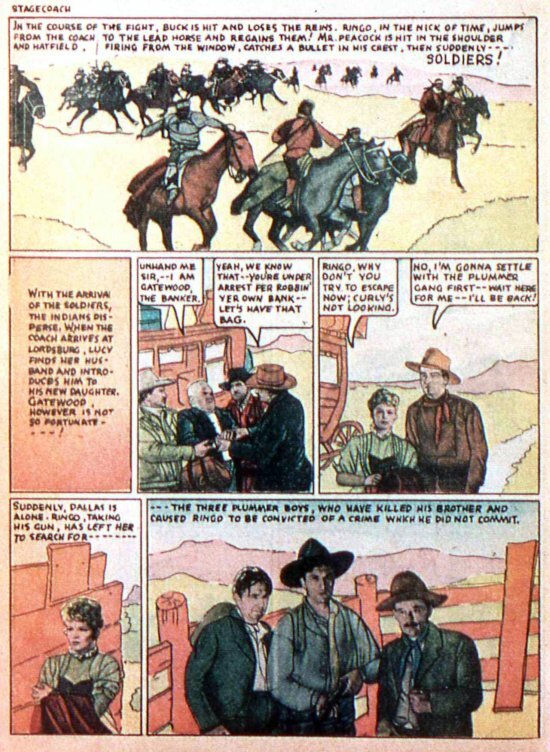 Using photographs was certainly one way around the problem of getting an exact likeness of the actors (as we showed you HERE with Movie Comics' adaptation of Phantom Creeps which used the same fumetti-format)! 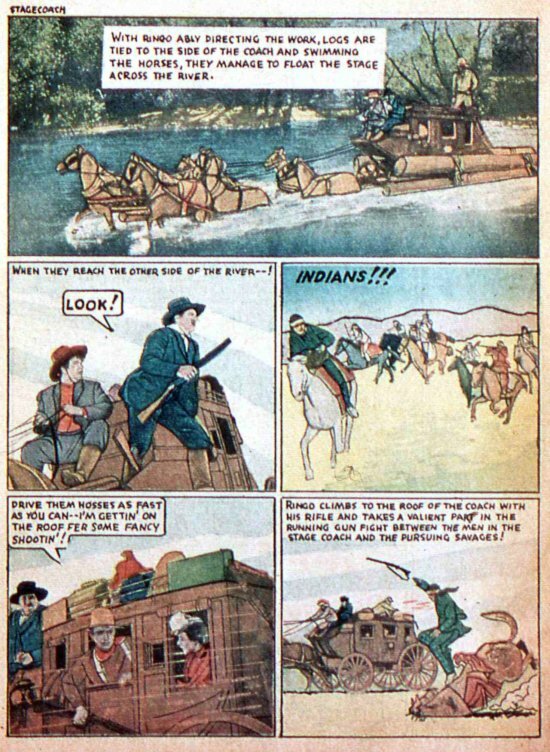 The design/compositing/additional art was done by Jack Adler, a production artist/illustrator who rose thru the ranks and eventually became DC Comics' Production Manager/Vice President of Production, innovating a number of techniques that became standard comics practices. 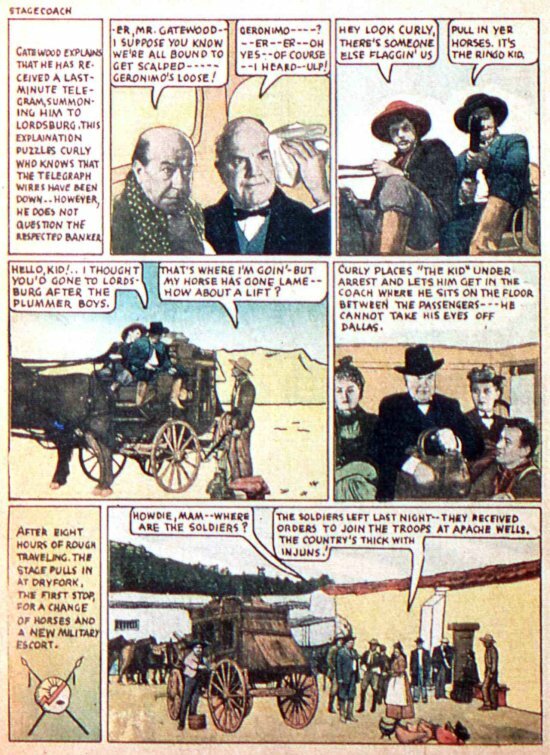 The writer of the adaptation is unknown. 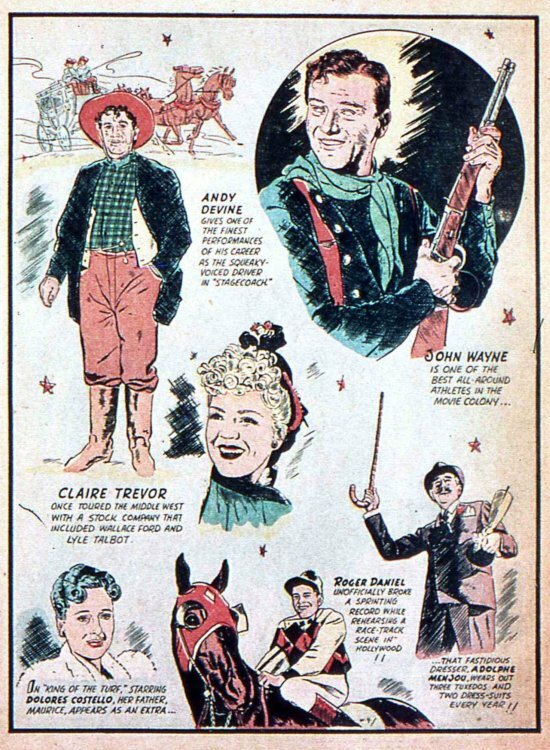 Remember, there was no Internet, DVDs, VCRs, or even TV, so the only way to see these movies was in the theater, and once they finished their runs, they were gone! 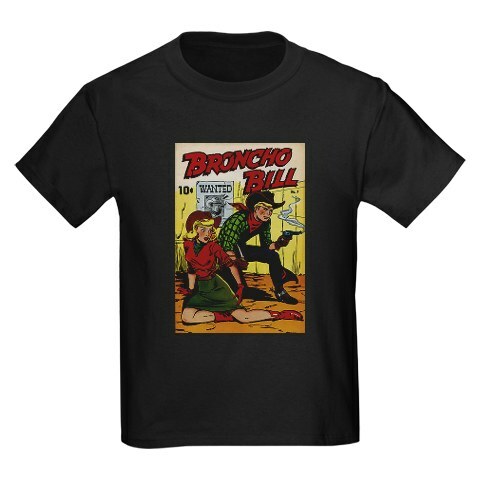 until they were re-released, usually every 4-5 years after their premiere showings. 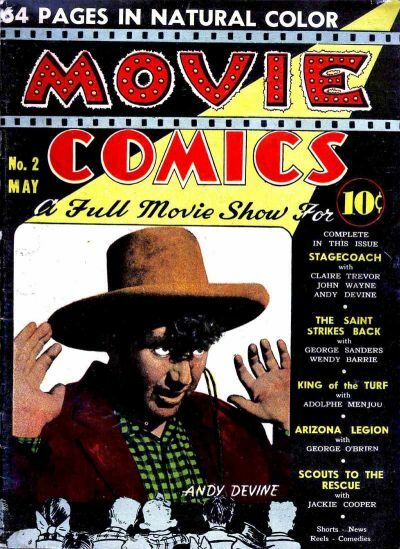 Adaptations in other media, including radio and comic books were used to promote the movies and were released either just before the movie opened for its' initial run, or when it was re-issued to second-run theaters. 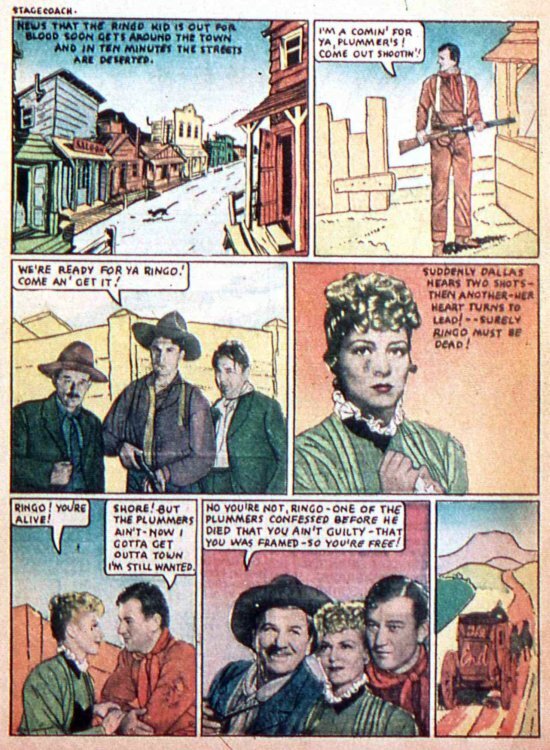 Besides this comic, there was a radio adaptation done for the Screen Directors Playhouse in 1949, during the movie's re-release. You can play that radio show by clicking HERE! Catch the flick on TCM, August 1st at 9:15 am (ET)! 2012 TCM Summer Under the Stars Blogathon! For a plethora of posts (and info on how you can participate) check out ScribeHard on Film and/or Sitting on a Backyard Fence for details! 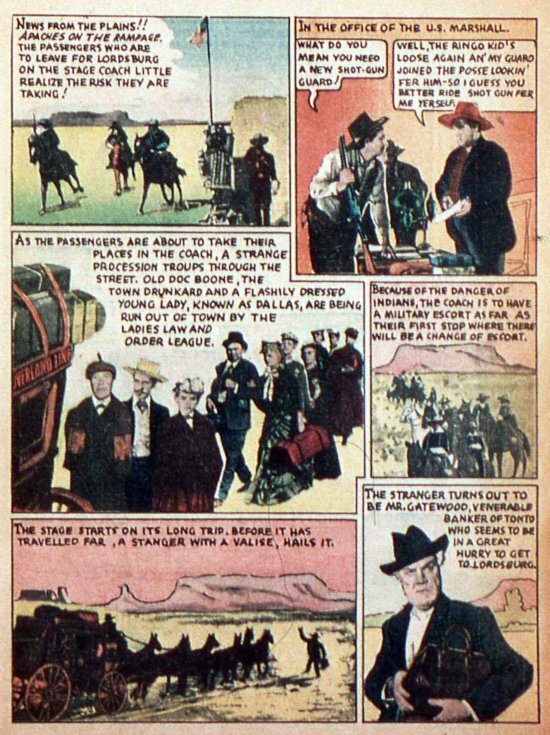 A comic book adaptation of Stagecoach? Who knew? 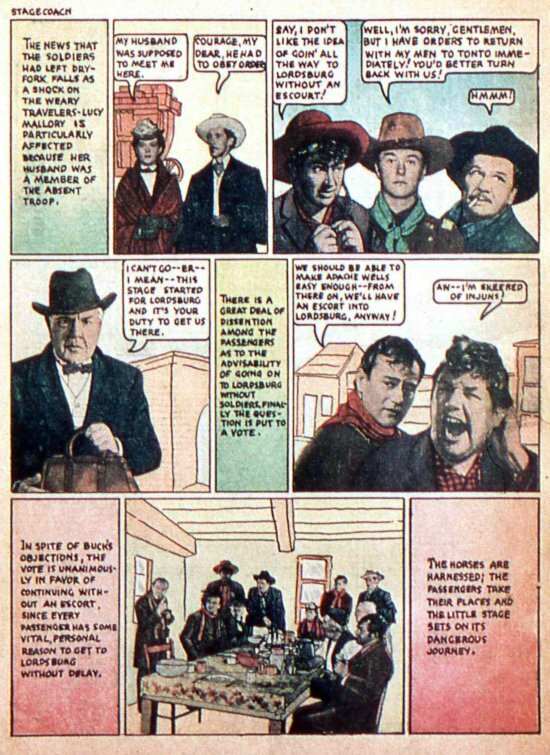 Thanks so much for sharing this interesting find for the blogathon.